Groove Armada (DJ), Peggy Gou, Jon Hopkins (Live), Nile Rogers feat. Chic and Horse Meat Disco’s Severino are just some of the names that have been announced for Wilderness festival in Oxfordshire this August. Taking place in Cornbury Park between 2nd and 5th August , the festival is offering a diverse range of music, theatre, talks, art installations and food for its eighth edition. More names added to the bill include contemporary jazz champ Kamasi Washington, legendary Haçienda DJ Mike Pickering, Manchester’s rising hip hop star IAMDDB and London electronic and afrobeat collective Afriquoi. There will also be an afternoon dedicated to BBC Introducing, a stage where new and emerging acts will be showcased. The festival’s dance music and DJ slots will take place largely on the festival’s Valley stage. Extravagant banquets will be hosted by the likes of Yotam Ottolenghi, the V&A will host a showcase of iconic Mexican painter Frida Kahlo’s wardrobe, and there will be a wide array of theatre performances, comedy, workshops and readings scheduled throughout the weekend. 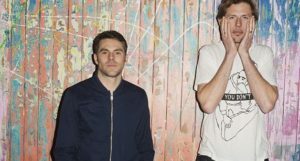 A DJ set from Groove Armada – especially on a line-up as strong as this one – is always something to be excited about. If you can’t make it to Wilderness, they will also be playing at Hï Ibiza this summer among other dates. Have a listen to the Back To Yours afterparty playlist they put together for DJ Mag last year here. Take a look at their set with Riva Starr in DJ Mag’s Work Bar from 2016 below.